All my work is ready to go! 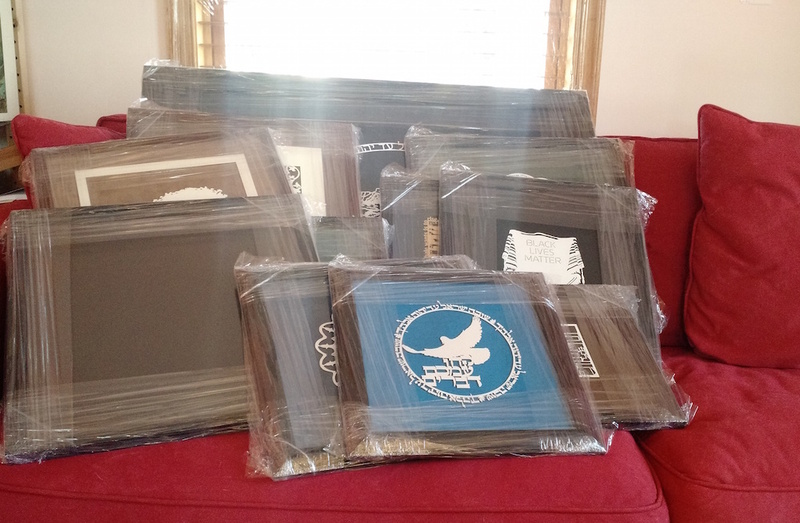 All the papercuts that are going into the Words @ Work exhibit are fully framed and ready to be transported! Well, almost all. I’m still working on the last one, which I actually won’t finish until the day of the opening reception, in front of your very eyes!